In Melbourne every day, around 180,000 cars use the Monash Freeway, one of Melbourne’s and Australia’s busiest roadways. It connects the centre of Melbourne with the south eastern suburbs of our city and beyond that with the eastern part of Victoria. At the same time, as the freeway passes through the eastern suburbs of Melbourne, it passes only a short 3km from Monash University, one of Australia’s biggest universities located here in Melbourne, where around 70,000 students attend. Both of these are named after one of Australia’s greatest ever military commanders, General Sir John Monash. In this podcast, I would like to tell you a little about Sir John’s life and his contribution to Australia. John Monash was born on the 27th of June, 1865 in Melbourne. He died on the 8th of October in 1931, at the relatively young age of 66. In those 66 years, he achieved so much. In particular, he was a commander of Australian army forces in the First World War and is considered to be one of the best military commanders on the side of the Allies in that war. He is certainly Australia’s most famous military commander in our history. John Monash’s parents had migrated to Australia from Prussia in 1863 and, as they were native speakers of the German language, so too was John, as the family spoke German at home. In 1874, the family had moved from Melbourne to Jerilderie, a small town in New South Wales, to run a store. In 1877, the family decided to move back to Melbourne in order to give John a better education and to give him the best chance to reach his full potential. John attended Scotch College, one of Melbourne’s best private schools which still exists today. He passed his university entrance when he was only 16, showing how talented he was. He attended Melbourne University and studied engineering. After university, he worked as a civil engineer in bridge and railway construction. In fact, he played an important part in introducing the use of reinforced concrete to building in Australia. He was eventually involved in forming and managing his own companies which used this type of construction. He was also involved in promoting the engineering profession and was president of the Victorian Institute of Engineers. From 1923 until his death in 1931, he was the Vice Chancellor of the University of Melbourne, Australia’s oldest and most successful university. It is no wonder that the new university created in Melbourne in 1958, Monash University, was named after Sir John. As impressive as his working career was, it was as a soldier that John Monash achieved great things and for which he became so famous in Australia and internationally. His military career started when he joined the Melbourne University branch of the Militia in 1884, which at that time was the part time reserve army in Victoria. Today, the equivalent is the Australian Army Reserve. These forces are made up of people who continue to work in their normal jobs but at the same time train part-time to be soldiers, usually on weekends or evenings, or a certain number of days per year. John soon became an officer and by 1912 had become a Colonel commanding the 13th Infantry Brigade. When the First World War broke out in 1914, John joined the full time Australian Army and, in September of that year, was given command of the 4th Infantry Brigade, commanding up to 1000 men. Monash and his brigade were soon sent to the war in Europe. His brigade was involved in the Gallipoli campaign on the shores of Turkey. Monash and his men came ashore at Gallipoli on the 26th of April 1915 and, like all the allied troops in this campaign, found the opposition from the Turkish Army to be very strong and the terrain extremely difficult. It was during this campaign that Monash was promoted to Brigadier General as a result of his skills and leadership qualities. Although this campaign was unsuccessful and the troops were forced to withdraw, Monash learned much about military command in battle. After the withdrawal from Gallipoli, Monash and his troops were sent to the battlefields in France where the battles were ferocious and the casualties high. It was here that Monash’s skills as an organizer, planner and leader became truly evident and his skills as a commander were demonstrated. Lieutenant General Sir John Monash, commander of the Australian Corps during the First World War. 1918. In June of 1918 Monash was promoted to the rank of Lieutenant-General and he was given the command of all five divisions of the Australian Army Corps. He was therefore the first native born Australian to command all Australian troops in a theatre of war. John led a number of important victories in France in 1918 which helped bring the war to an end. One of his key beliefs as a commander was that the safety and well-being of the troops under his command were the top priorities for a commander, if victory was to be achieved. He also strongly believed in fully planning and using all the military components in the battle, including troops, weapons, medical and logistics functions. For example, in the midst of the battle, he had hot meals sent to the front lines for the troops. John Monash was honoured by King George V in August of 1918 by being given a knighthood, so that he became Sir John Monash. He also received awards and honours from the leaders of France, Belgium and the United States, in recognition of his fine contribution as a great military commander in the First World War. 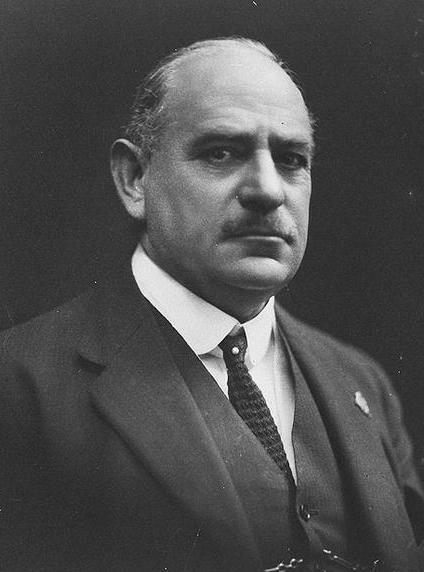 Sir John Monash’s picture shown on Australia’s $100 note. 300,000 people came to pay their respects at Sir John’s funeral in 1931. I have been thinking about the number of times that his name in spoken by living Victorians and Australians today, as they use, for example, the name of the freeway or the university in their daily conversations. Almost all of these people, me included, rarely think about the real man, Sir John Monash and what a great Australian he was. But all of the things which are named after him are important and they all add value to the lives of Victorians and Australians. I think that is a great way to honour his life. Podcast 87 Quiz - Did you understand the podcast? True or False? – The Monash Freeway in Melbourne is one of Australia’s busiest roads. True or False? – John Monash is famous in Australia because he was a great engineer. True or False? – John Monash helped introduce a new type of concrete to building construction in Australia. True or False? – John Monash began his military career when the First World War started. True or False? – In the Gallipoli campaign, John Monash and his troops had a great victory. True or False? – In France during the First World War, John lead his troops to important victories, which helped bring the war to an end. True or False? – John believed that the safety and well-being of his troops were the most important things, if you want to win a battle. True or False? – John received all his honours from the government of Australia. True or False? – There were many things named after Sir John Monash in Australia, including a hospital, a school, a scholarship, a town and other things. True or False? – Rob thinks there are too many things named after John Monash in Melbourne. promoted = (here) to be raised to a higher level. Great story of a great person! If possible, could you please do more podcasts regarding famous people appeared on the Australian dollars? So far I had known two – One is Mr Banjo Paterson on the $10 note and the other is Sir John Monash on the $100. Thanks for your very kind message. That’s a good suggestion. There are some interesting people displayed on our money. You might like to check out podcast 20 (https://slowenglish.info/?p=556) which talks about John Flynn, who is on our $20 note.